Backyard water features have become much more popular in recent years due to the calming sounds and relaxing benefits they provide. At the end of a busy or stressful day, the sound of a waterfall can help relieve built up stress or anxiety. Plus, water features are great way to help conserve the environment and add value to your home. As with any major addition to your backyard landscaping, it’s always a good idea to speak with your landscaping company or landscape designer in order to determine which areas would be best for placement given aesthetics, drainage, access to electricity, (if a pump is required) and other factors. Using a professional will help you save time and money in the long term. 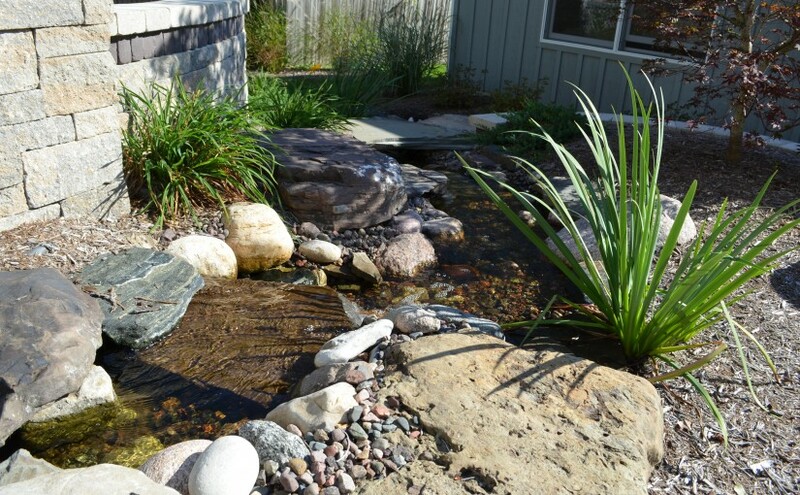 • Select a simple fountain or pondless waterfall design because the amount of maintenance and care will be minimal. 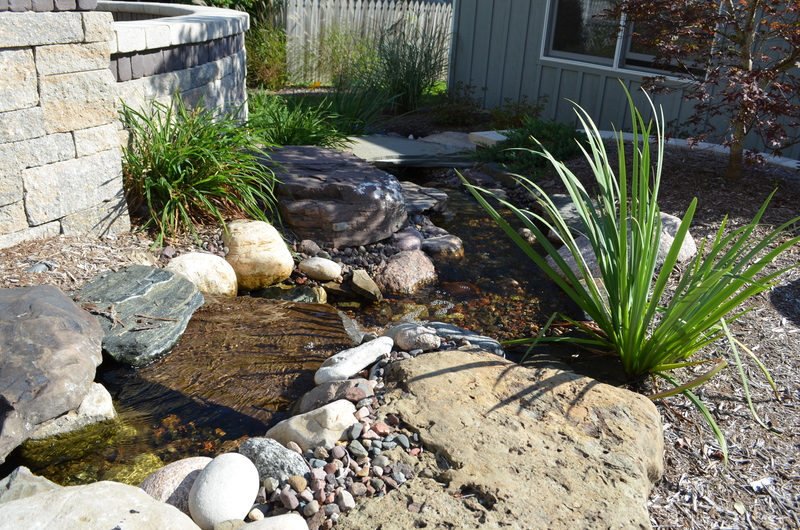 Pondless waterfalls are a good choice for homeowners with small children or municipality restrictions. • Do your research on pond or fountain pumps so that you get a pump that has filters for leaves, algae and debris that may collect in the water feature. 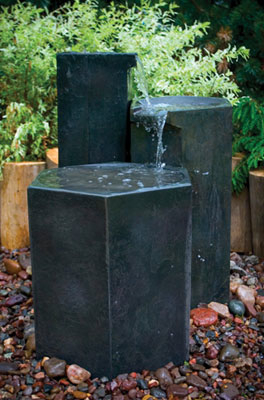 • When you have a limited amount of space to work with, a basalt column fountain is a good option to consider. Many of these fountains are constructed from rock veneer so they age like real stone, and due to the vertical design; they take up a small area. • If you decide to use gravel, stones or rocks in your water feature, these will need to be removed and cleaned on a regular basis. If you incorporate fish or pond plants, be sure to take them out and keep them in a water tank before drying or cleaning out the water feature. • Water features will attract wildlife such as birds, frogs and insects. To encourage and support wildlife, it will help if your landscaping includes plenty of indigenous trees and plant life. Now that you have some useful information about which types of water features might be the best fit for your backyard landscaping, call us at 630-932-8966 today to ask us how we can professionally integrate a water feature into a new landscape design.